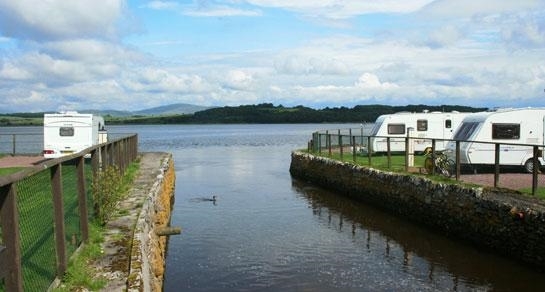 An ideal location for a relaxing holiday, Garlieston Caravan and Motorhome Club Site is both peaceful and picturesque. 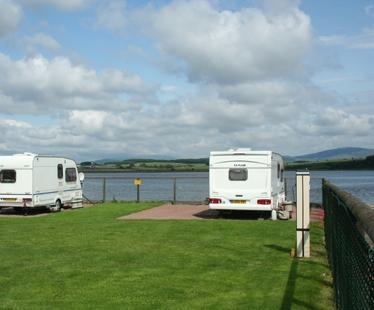 An ideal location for a relaxing holiday, Garlieston Caravan and Motorhome Club Site is both peaceful and picturesque. 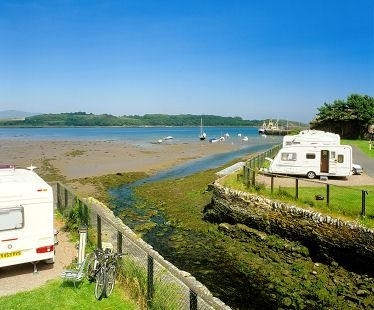 Divided into two sections for choice of comfort, one section of the caravan park offers beautiful views overlooking the bay, while the other provides a far more secluded and sheltered space for those who enjoy extra privacy and quiet. 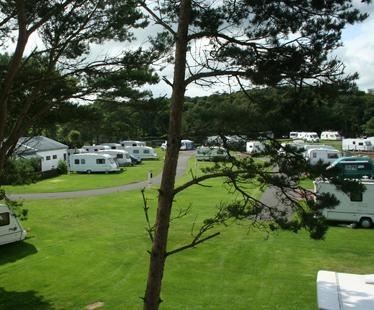 All non-awning pitches and a limited number of awning pitches are located in the part overlooking the bay, while all pitches in the walled area accommodate awnings. 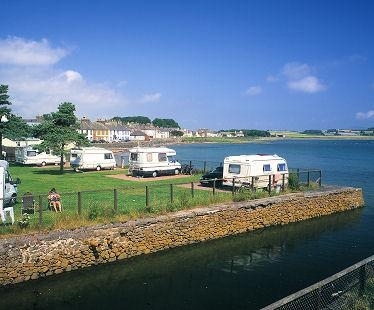 Garlieston Caravan Club Site gives you easy access to the rural charms of Garlieston village, geared towards farming and leisure. Many of the attractive cottages in the crescents that wrap around the bay are holiday homes, and pleasure craft now share the harbour with a few fishing boats. 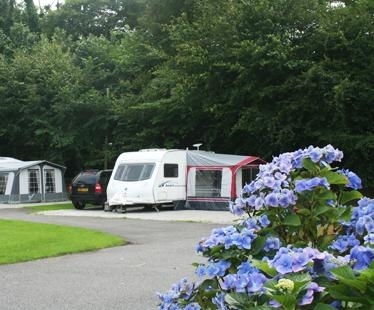 The caravan site is well located for fishing, boating, cycling and walking, with adjacent access to a coastal path leading to the famed azaleas and rhododendrons of Galloway House Gardens. The sandy beach at Rigg Bay, where wartime Mulberry Harbours were tested, is an excellent place to spend a summer day. If you're happy to venture further afield, The Galloway Forest Park offers 300 square miles of beautiful moorland, lochs and mountain tops to explore. A mobile fresh wet fish van visitis this site, please ask the site staff for details.